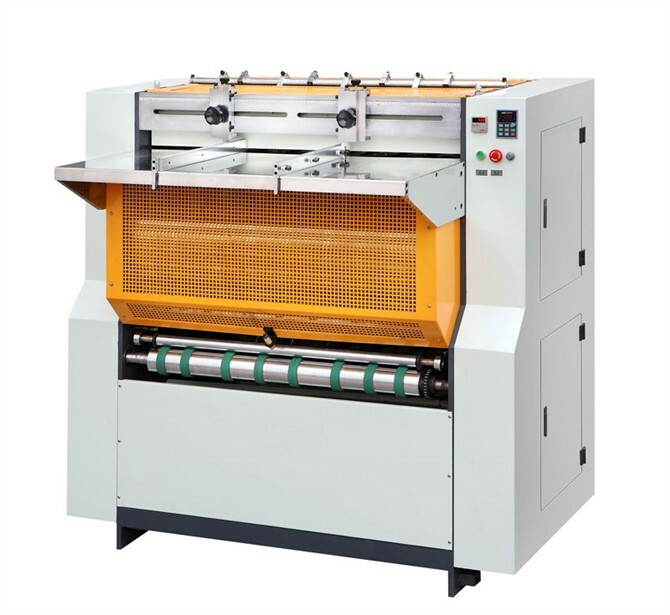 The machine is special designed for notching V type groove,use for industry-cardboard,Ash-cardboard,MDF board and other several of cardboard.it adopts new way of transportation principle.Wrap the cardboard on the entire surface of the roller(the diameter is 60).It can guarantee the groove more accurately.no deviation and straightly.The machine has the features of high accuracy,fast speed and durable cutting blade. 1.After notching,the surface of cardboard is very clean and no dust. 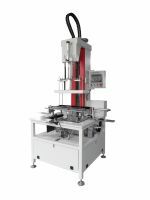 2.The machine is very economization,total power is 3.7kw only and it is little noise. 3.The machine can produce about 1000pcs boxes per hour that feeding by hand,it is very fast. 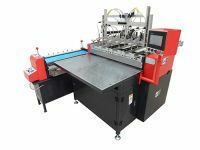 4.The cutting blade can cut 10000-18000 sheets one time,then you should to sharp the blade and it is takes about two minutes only.We will supply a sharpen machine by free and it s very easy to operation. 5.The cutting degree is adjustable. 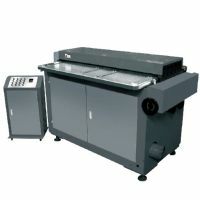 The machine could groove any thickness from 300gsm-3.6mm,and need not to adjust anything.